VCSP Important Notice: 9.5 Update 4a Is Out with Fixes and Platform Supportability - VIRTUALIZATION IS LIFE! 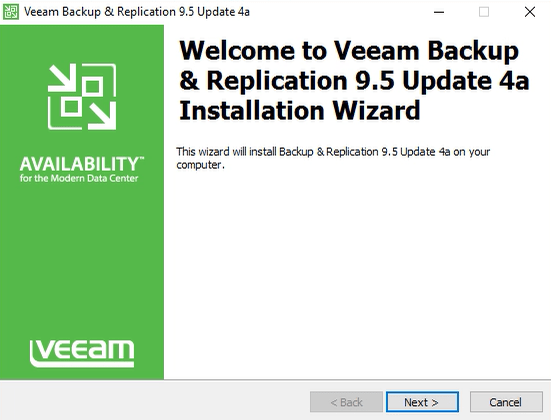 Yesterday Update 4a for Veeam Backup & Replication 9.5 (Build 9.5.4.2753) was made available for download to all Veeam customers and partners. This build updates the GA code and is a cumulative hotfixes rollup that resolves a number of issues from the initial release. There is also enhanced platform support, most significantly initial readiness for VMware vSphere 6.7 Update 2 and Microsoft System Center Virtual Machine Manager 2019 support. For Veeam Cloud and Service Provider Partners, Veeam Backup & Replication 9.5 Update 4a includes specific bug fixes. These fixes help those who offer Veeam Cloud Connect services, and also those that offer managed backup services with Veeam Availability Console. There is a Veeam Forum thread that has been updated with all the specific fixes. For the full change log, head to this thread on the Veeam Cloud & Service Provider (VCSP) forum. It’s important to note for VCSPs that this is not a breaking update, meaning your tenants will not have any issues performing Cloud Connect Backup or Replication jobs if they are on Update4a before you. It’s still recommended that you look to upgrade as soon as possible as change windows would permit. If you are upgrading directly to from 9.0 or earlier you need to source the full ISO image from the download section.